9-storey serviced residences, 67 units. Opened in January 1998. 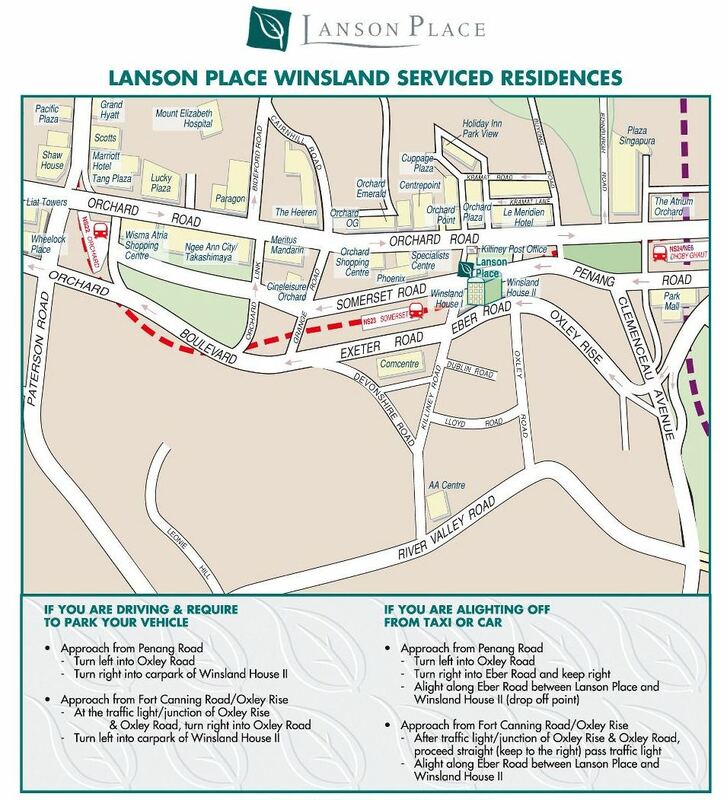 Briefly, Lanson Place Winsland Serviced Residences are conveniently located near Singapore 's famous Orchard Road. Close to the commercial district and entertainment & shopping precinct, yet in the midst of lush greenlands and garden. 1-minute walk to the Somerset subway. There is a choice of 67 spacious and fully furnished Serviced Residences. Each create with a homely atmosphere with excellent facilities such as Broadband Internet, DID & IDD lines and Cable TV. For those who appreciate the easier lifestyle not found in five-star hotels but want quality and service, Lanson Place residences are ideal. All residences are tastefully furnished (with complete linen), each with a fully equipped kitchen, separate living & dining area and master bedroom with ensuite bathroom. Dining-In Food Delivery Services (Local, Asian & Western Menus). Somerset subway a 1-min walk to right of the car. Centrepoint supermarket a 2-min walk to the back of the car. Incredibly good location for a tourist as amenities are within walking distance. Shop, walk movies and eat till you drop. Above picture has been kindly provided by e-mail, by Suhardi Darhoni, Lanson Place for publication on this website on Nov 24, 2005. Great location. Lanson Place is very near Orchard Road and Somerset subway which is a one-min walk to the right from the blue car in the picture above. 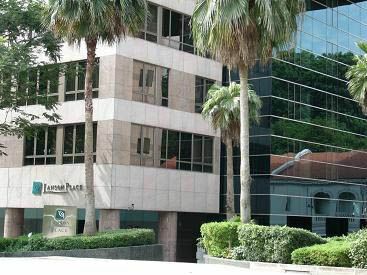 Centrepoint Shopping Centre & Orchard Road, a 3-min walk to the left of the car. Somerset subway to the right of the car. 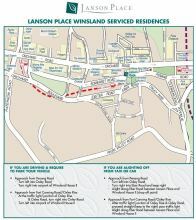 Map has been kindly provided by e-mail, by Suhardi Darhoni, Lanson Place for publication on this website on Nov 24, 2005. Others Outdoor jacuzzi. BBQ area. Sun decks. Free Wifi.